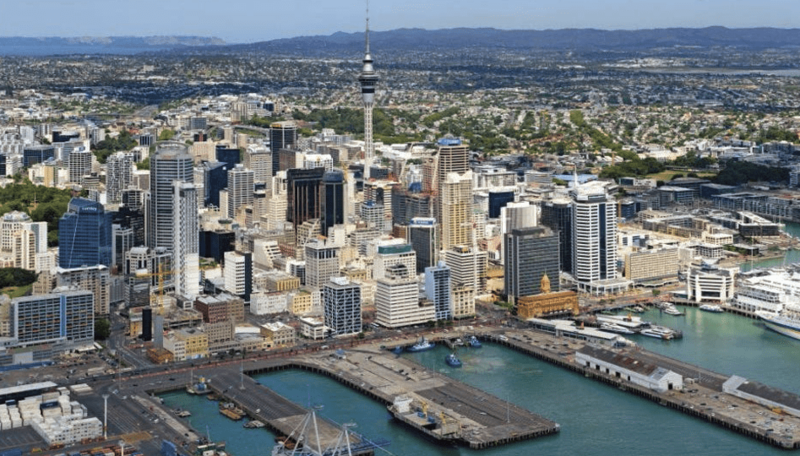 An international construction conference being held in Auckland early next year will showcase leading edge technology, construction innovation, practices and methods that have the potential to transform the sector and improve our built environment. The ‘Constructing our World – People, Performance, Purpose’ conference will take place from 22-24 March 2017 and is being hosted by the New Zealand Institute of Building (NZIOB) in collaboration with the Australian Institute of Building (AIB) and the Singapore Institute of Building (SIBL). Subsequent international construction conferences will occur in Australia in 2019 and Singapore in 2021. NZIOB chief executive Malcolm Fleming said, “There is a global groundswell underway that is rapidly changing the construction industry. Across the supply chain, construction is becoming increasingly technology rich and innovation focused. The ‘Constructing our World’ conference will bring speakers who are at the forefront of these changes to New Zealand to share how the next wave of construction ‘best practice’ could transform the sector and our built environment. ‘Constructing our World’ will feature speakers from Australia, Hong Kong, Sweden, the UK, Singapore, South Africa and the USA, in addition to leading New Zealand industry representatives. One of the conference’s keynote speakers is David Philp, an early adopter of practical change and purposeful collaboration. David is Global Building Information Modelling (BIM) and Information Management Consultancy Director for AECOM, the international engineering design and services firm. He will discuss international best practice and the lessons learned from the UK BIM mandate. The UK’s Government Construction Strategy has made BIM mandatory for all Government projects since April 2016. This has resulted in a marked uptake of BIM so that the UK now ranks alongside Singapore, USA and Scandinavia (in particular Finland) in terms of BIM usage. BIM enables all those who are involved in the Design, Documentation, and Delivery of construction projects to optimize their actions, resulting in a greater whole life value for the asset. Helena Lidelow, Associate Professor at the Lulea University of Technology in Sweden, is another confirmed keynote speaker. She will present on ‘Industrialised construction in Sweden – from single-family homes to multi-family buildings’. She has a PhD from Lulea University of Technology on timber structures and has been teaching part-time at Lulea as an Associate Professor since 2009. Dr George Quezada from Australia is an innovation scientist with CSIRO I Data61. His keynote presentation is titled ‘Scenarios for the future of construction’. George will present findings from a recent scenario planning study on the future of Queensland’s construction industry, the Farsight Report. This project, undertaken in partnership with Construction Skills Queensland, engaged 80 leading experts across the state. The Farsight Report asked what the industry could look like in 20 years’ time, and how might job profiles and skills requirements change? To explore answers to these questions, four scenarios were developed: the digital evolution; smart collaboration; globally challenged; and the rise of the robots. The future of the construction landscape under these scenarios is barely recognisable from today. This presentation will discuss important implications and strategies for navigating this digital age. NZIOB acknowledge the support of platinum conference sponsors GIB® and AECOM. The New Zealand Institute of Building (NZIOB) is the professional institute in New Zealand for building and construction professionals, those who are involved in the Design, Documentation, and Delivery of construction projects. The NZIOB is acknowledged for their ability to bring individuals together, whom share a common interest; in improving the standing of the building profession, and a commitment to the practice of excellence in their career. NZIOB members are skilled managers and professionals engaged in building practice in a managerial, technical, or administrative capacity in construction, installation, designs or survey, and for those engaged in the teaching, science and practice of building and building research. The NZIOB is an articulate and reliable advocate for the construction industry, and works with construction industry stakeholders, government, tertiary faculties and media to promote the building profession.